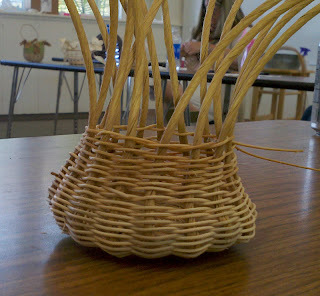 A friend and guild-mate is teaching a series of basketry classes, so I had to sign up, right? 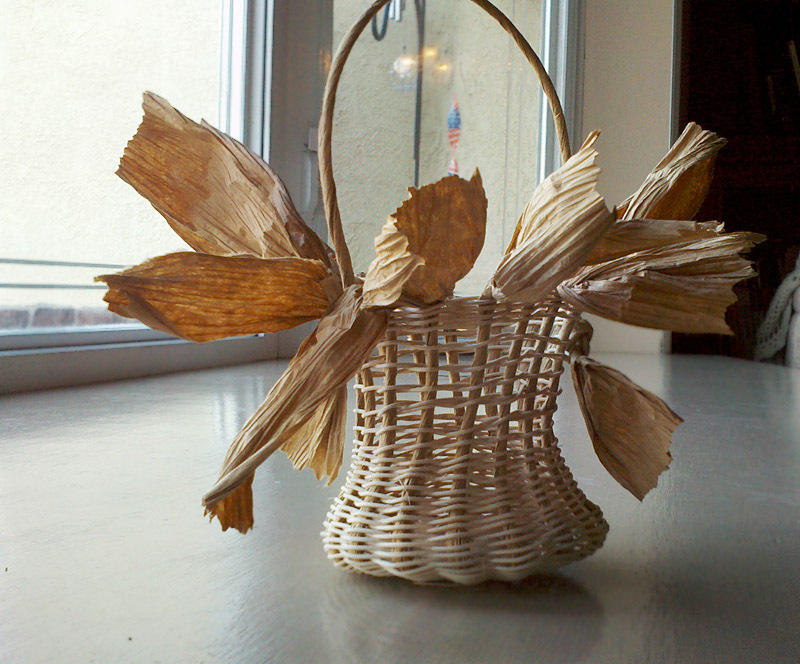 It's not like I need another hobby or craft. 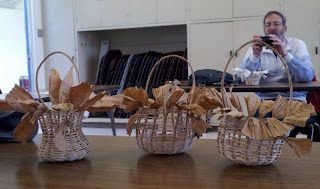 Several of my buddies also signed up, so a good time was guaranteed. 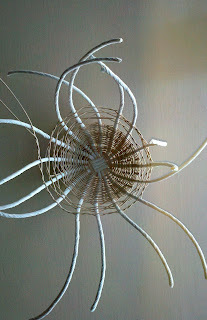 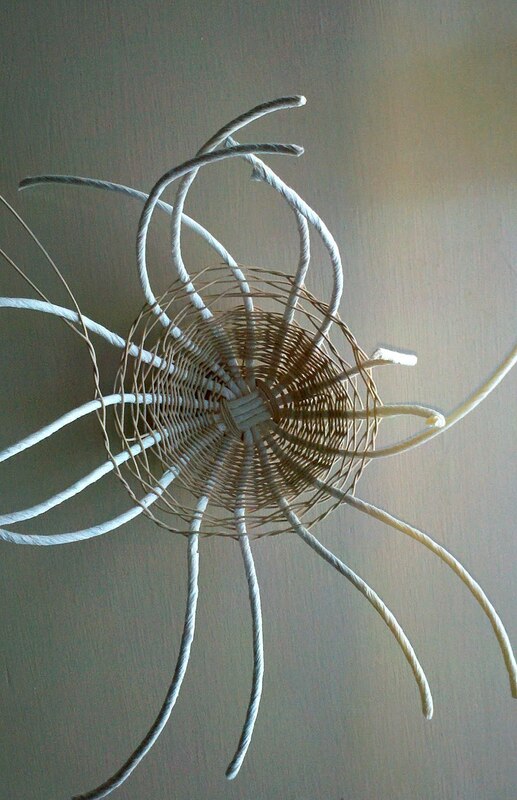 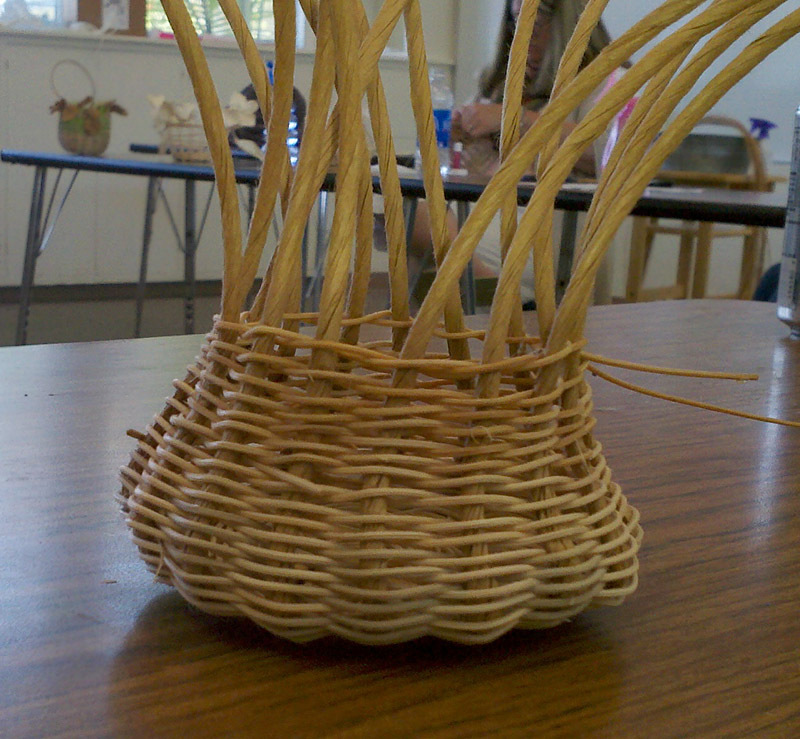 Today's class was a twined garlic basket - and I.Am.Hooked. 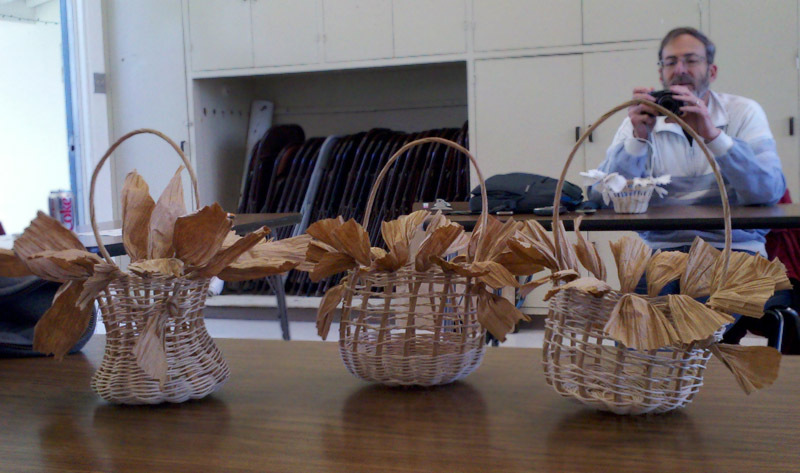 The baskets are named for their shape, which resembles a clove of garlic, not for their materials or smell. We used fiber rush (aka paper cording) for the ribs and thin reeds for the sides. 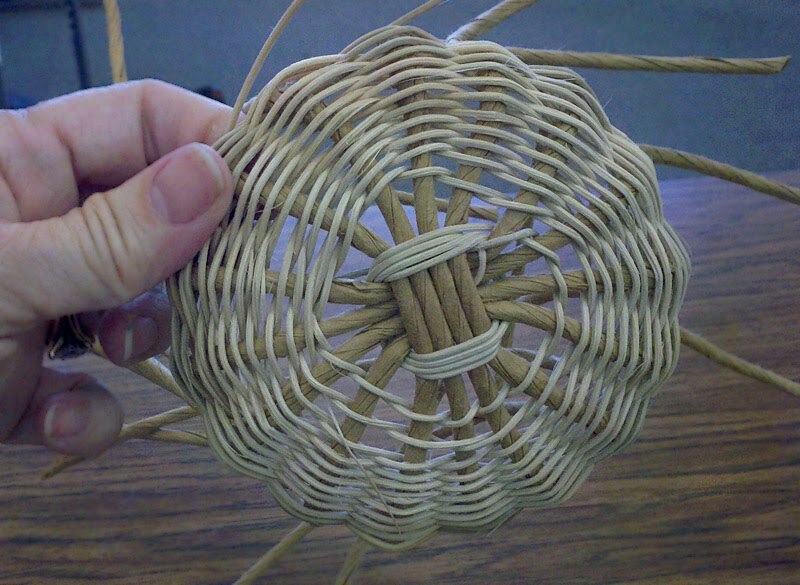 Once the main basket was done, we added a handle and unrolled the top of the paper cording in the ribs to make 'leaves'. 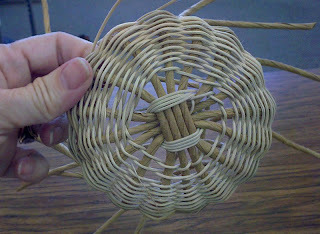 Loved making this so much that I started a second one in class - and brought it home to finish. 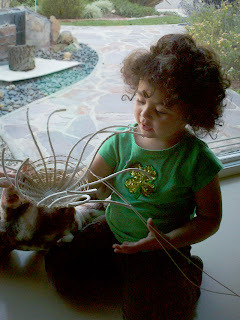 With a little help from the baby grands, of course.